Our annual Southern California conference offers students and parents the latest in college admissions trends, insights on careers from working professionals, and a plan of action for the future. Registration is open exclusively to enrolled Elite students and their parents. Please have your or your student's Elite ID number ready when registering. Registration deadline is Thursday, July 19. Watch to learn more about past Elite Vision Expos! Our keynote speakers will address the importance of a good education, solid communication skills, and the discovery of motivation, passion, and vision in the pursuit of a successful academic and personal life. Led by Elite Regional Director Henry Kim, this seminar will share important details about the application process for UCs and private schools, as well as current admissions trends. We've invited working professionals in various fields to provide insights into their respective careers. They will share their academic journeys and personal experiences that will be invaluable to students who are considering similar academic and career goals. Associate Director & Co-Author of "School Connect"
This seminar will address questions that many of our students face: "What should I major in, and how do I figure out what career is best for me?" 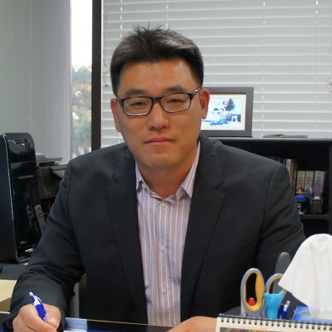 David Han, Branch Director of Elite Prep Anaheim Hills will offer tools and pathways that will help you discover your true passions and skills. F2: UC? Private? Liberal Arts? You? Elite alumni who have matriculated to private universities, UCs, and liberal arts colleges will share their college experiences, highlighting differences among the wide range of college options to aid your search for your best-fit college. Learn how to make a strong impression on your college applications with unique, powerful, and well-written personal statements. College is becoming increasingly expensive every year. Learn about financial aid and keys to making college more affordable, and receive advice about the CSS Profile and FAFSA. Explore organizations in our community that offer opportunities to utilize your skills, engage with others, and get involved. Representatives from numerous colleges and universities will be available to answer your questions about prospective schools.